Provide comfort for the family of Gerald Hanthorn with a meaningful gesture of sympathy. Gerald W. “Gerry” Hanthorn, age 77, of Milton, WI, died unexpectedly at his winter home in Palmetto, FL on Saturday, March 30, 2019. Born October 31, 1941 to June (Hall) Hanthorn and Harold Hanthorn, Gerald William Hanthorn lived most of his life living and working in the Johnstown area. He had two children whom he loved deeply: Greg Hanthorn and Ginger Hanthorn Smith. Gerry worked for his father helping to make I.G. Hall, Inc. a successful locally owned and run family business, selling and repairing farm implements, and he later took over the business with his younger brother, “Bobby” Robert Hanthorn. They were partners, brothers and friends. 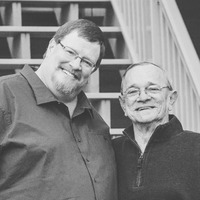 After his brother passed away suddenly in 2005, Gerry ran the business by himself with the assistance of his son Greg. He missed his brother greatly, however, and in January of 2011 Gerry closed the doors on the family-run business at I.G.Hall, Inc and began a new chapter in his life happily spending winters in Florida with Nancy. Gerry and Nancy (Abelmann) Hanthorn were married at Rotary Gardens on April 15, 2006, the beginning of many happy years. They spent most of their time together and cherished time with family and close friends. Throughout his career, Gerry was fortunate to have maintained many lifelong friendships and he supported many programs benefiting the local youth through fundraisers and promotion in general. He was proud to have been largely instrumental in assisting with the re-creation of the Milton Senior High School football field and the addition of the track in 1991. He served on the FFA Alumni board and as its President, and he was honored by being inducted into the Ag Business Council of Rock County Hall of Fame in 2010. Gerry enjoyed trap-shooting with friends and playing golf with his wife, Nancy. 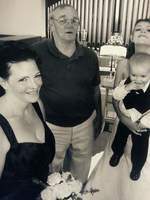 He adored his grandchildren and was blessed with two great-grandchildren as well. His family was very important to him and he leaves behind many loved-ones: wife Nancy; son and best friend forever Greg Hanthorn and his much-loved daughter-in-law Gerri; daughter Ginger Hanthorn Smith; grand-daughters Samantha Anderson (husband Joe, children Jesse and Gracie) and Morgan Smith; 2 step-sons, whom he loved as if they were his own: Chad Kliefoth (wife Kelly, children Alaina and Andrew) and Nick Kliefoth (wife Heather, children Alison and Austin). Also surviving Gerry is his brother Tom Hanthorn and sister-in-law Peggy; brother- and sister-in-law Tom and Hyla Abelmann; and sister-in-law Peggy Zabriskie, and his aunt Judy McCue, whom he also adored. His parents, his brother Bobby, his youngest sister Nancy, and the mother of his children, Virginia "Ginny" Hanthorn, predeceased him. Gerry was a man whose legacy was predicated on giving to others and to learning to find love and laughter later in life, a gift many were happy to engage in with him. A scholarship in Gerry’s name will be established; in lieu of flowers memorial gifts can be made in remembrance of Gerry to the Gerry Hanthorn Memorial Scholarship Fund at the Bank of Milton. A Celebration honoring and remembering Gerry’s life will be held on Friday, May 31, 2019 from 3:00 PM until 7:00 PM at the Whitcomb – Lynch Funeral Home. To send flowers in memory of Gerald W. "Gerry" Hanthorn, please visit our Heartfelt Sympathies Store.